Beloved author Sheila Williams beautifully captures the bittersweet humor and vivid adventures of women who survive the worst life can toss at them—and fight back to claim their right to be free, to be themselves, and to live in . . . The courage to change doesn’t come easy. 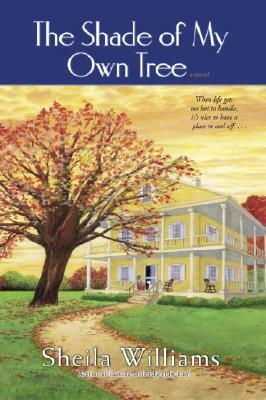 When Opal Sullivan walks out on an abusive husband after fifteen years, she has only her dreams in her pocket. Her new beginning starts in Appalachian River country, where she sees a bit of herself in a graceful but dilapidated house. Like Opal, the house is worn-out and somewhat beaten up, but it still stands proudly and deserves a second chance. So Opal opens her doors—and her heart—to a parade of unforgettable characters. There’s sassy Bette Smith with her cantaloupe-colored hair and four-inch heels; short-tempered Gloria and her devilish son, Troy; the mysterious Dana, who dresses in black and keeps exclusively nocturnal hours; a dog named “Bear” who is afraid of his own shadow; and Jack, who doesn’t mind hanging out with an OBBWA (old black broad with an attitude). It is Jack who helps Opal understand a funny thing about life: You can’t move forward if you keep looking back. . . .